“Hilary Scott has a soulful and beautifully expressive voice that knocks it out of the park…Listen Up!...it will make you happy.” Bob Glaub (Journey, Lennon, Fogerty, Springsteen, Rondstadt, Raitt, Cher). 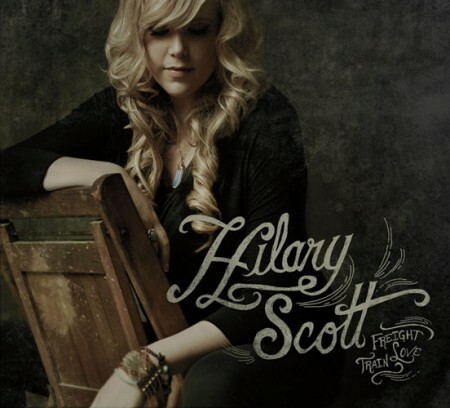 Freight Train Love is Hilary Scott’s exciting new album was recorded in Los Angeles at Johnny Lee Schell’s Ultratone Studios. The album was produced by Americana artist, Michael ONeill, who also co-wrote several of the songs on the album with Hilary Scott. Michael ONeill brought in some of the music world’s finest talent, multiple Grammy award winners such as Schell (who played guitar and also did the engineering and mixing), as well as Bob Glaub on bass (Paul McCartney, Linda Rondstadt, Rod Stewart); Tony Braunagel on drums (Bonnie Raitt, Rickie Lee Jones); and Mike Finnigan on keys and organ (Crosby Stills and Nash, Leonard Cohen). Additional percussion was provided by Scott, Schell, ONeill and Aj Gennaro. Julie Delgado (who has worked with Sting) sings backup vocals for the title track, “Freight Train Love”. Hilary Scott wrote three of the songs on the album and collaborated with Michael ONeill on four. Cover tracks include two songs by Kevin Fisher (who sings a duet with Scott on one of his songs) and “Lotta Love” by Neil Young. Bob Glaub plays bass on “Lotta Love” as he did for Nicolette Larson’s big hit years ago.